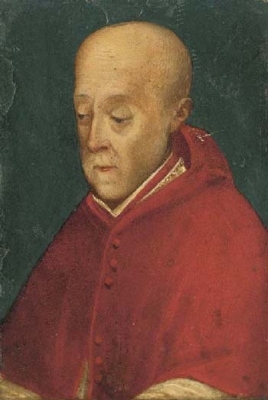 Duarte de Aviz, Duque de Guimarães was born on 7 September 1515 at Lisbon, PortugalG. He was the son of Manuel I de Aviz, Rei de Portugal and Maria de Castilla y Aragón, Infanta de Castilla.1 He married Isabel de Bragança, daughter of Jaime de Bragança, Duque de Bragança and Joanna de Mendoza, on 23 April 1537. He died on 20 October 1540 at age 25 at Lisbon, PortugalG. Catarina de Guimarães was born on 18 January 1540 at Lisbon, PortugalG. She was the daughter of Duarte de Aviz, Duque de Guimarães and Isabel de Bragança.1 She married João I de Bragança, Duque de Bragança, son of Theodosius de Bragança, Duque de Bragança and Isabel de Lemos, on 8 December 1563. She died on 15 November 1614 at age 74 at Villa Vicosa, Evora, SpainG. Her married name became Farnese. Alessandro Farnese, Duca di Parma was born on 27 August 1545. 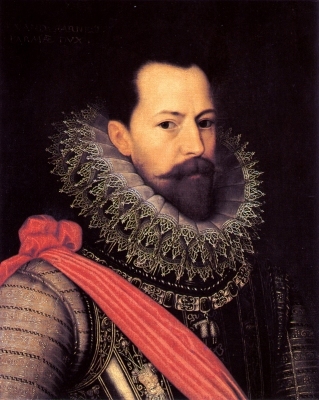 He was the son of Ottavio Farnese, Duca di Parma and Margarethe von Habsburg.4,3 He married Maria de Aviz, daughter of Duarte de Aviz, Duque de Guimarães and Isabel de Bragança, on 11 November 1566. He died on 3 December 1592 at age 47. He gained the title of Principe Felipe de Portugal.